Watch Out! Callbox will Invade Dreamforce 2016! No disrespect to JFK, but this year’s Dreamforce, which is only a week from now, could be the single biggest gathering of influential tech and business minds outside of when Steve Jobs and Bill Gates dined together. Funny thing is, that does not hint even a morsel of exaggeration. It’s not often that mere mortals like us get to rub elbows (and perhaps, exchange numbers) with industry leaders and trailblazers, scientists and advocates and all the people we look up to such as Marc Benioff, Melinda Gates, Mark Cuban, Tony Robbins, and the head honchos of top companies and startups alike. It’s not often that we get to talk and compare notes with thousands of other people who speak the same jargon. If there’s no adjective that combines mind-blowing and awe-inspiring and electrifying with a dash of humbling, it’s about time they made one. Or they could just turn Dreamforce into that adjective. Of course, Dreamforce is also the best venue and provides the best excuse to become a sponge and be curious – there are thousands of sessions to choose from and hundreds of hours of keynotes and trainings and workshops it’s like a Disneyland for tech guys and entrepreneurs. Even the rule here is elementary: Be so curious it borders on being stupid. Don’t worry, most participants are too busy learning every bit they can to judge. Incredibly, that’s not the main reason the Callbox team is invading Dreamforce 2016. More importantly, the Callbox team would like to take this opportunity to meet and thank our past and current clients for trusting us with their business, as well as win over potential partners who just have a couple of questions to ask. We would really appreciate to get up close and personal with you. So if you want to know about our latest innovations or how we’ve managed to lead the pack in lead generation especially for IT and software, you know where to find us starting October 5th. Don’t worry, we’ll make ourselves – and that includes our CEO, Rom Agustin, himself — available to you. Coffee and leadgen sound just about right, and they’re on us. Now, let’s walk the walk. We’re coming because of you, and we’re not asking much except for a minute of tete-a-tete. Who knows, signing up here could be one of best decisions in your life. https://www.callboxinc.com.au/wp-content/uploads/2016/09/Watch-Out-Callbox-will-Invade-Dreamforce-2016.jpg 352 800 admin https://www.callboxinc.com.au/wp-content/uploads/2019/01/callbox-logo.png admin2016-09-29 00:44:452017-08-17 07:16:36Watch Out! Callbox will Invade Dreamforce 2016! Meet the Callbox Team at Dreamforce 2016! No, that’s not an introduction to an oft-heard bar room joke. That’s just a highly possible scenario in one of the most anticipated and participated tech events in the world – Dreamforce. On October 4-7 this year, the streets in downtown San Francisco are expected to swell from almost 200,000 participants not just from California and the US, but all over the world. And yes, some of them are rock stars, political figures, and business leaders. Dreamforce is an annual customer conference hosted by Salesforce, a leading customer relationship management (CRM) and Software-as-a-Service (SaaS) provider. It is also one of the largest gatherings of sales and marketing and tech people, IT professionals, developers, startups, entrepreneurs, executives, and pretty much anybody, actually, who’s interested in improving their company in terms of systems, processes, innovation, and of course, ROI. It’s a one-of-a-kind customer forum made up of more than 2,000 sessions and hundreds of hours of keynotes, trainings, and demos. Hillary Clinton, Colin Powell, Sir Richard Branson, Metallica, Red Hot Chili Peppers, The Foo Fighters, and Bruno Mars have all graced an edition of Dreamforce. Really, it’s part conference, part festival, part concert, and part social gathering. Great PR job by Dreamforce, but don’t take their word for it. Be there and see and experience it yourself. See, the Callbox team is also going to be there. 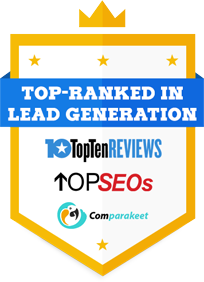 Being one of the most trusted and recognized leaders in B2B lead generation, we thought you might want to personally ask us how we’ve managed to exceed our clients’ expectations year in and year out. Four of our executives, including our CEO, Rom Agustin would relish the opportunity to talk with you about the Callbox brand of lead generation, our vaunted SMART Calling program, the very efficient Callbox Pipeline Lead Nurture tool, or just about anything marketing. If you are or have been a client, we’d also love to meet you there and thank you for the partnership. Coffee’s on us! And oh, did I mention one of the best live acts in the world is going to be there, too? Yes, U2 (Bono and the rest of the gang) is headlining DF16. Believe me, I’d happily part with a few hundred dollars in exchange for a week of learning about the industry, getting all the product updates, and meeting like-minded people. Of course, getting a Dreamforce certification plus the possibility of snapping a selfie with Bono could’ve been reasons enough. HOT COFFEE AND WARM LEADS – I’M IN! Read more Callbox News and Events today! 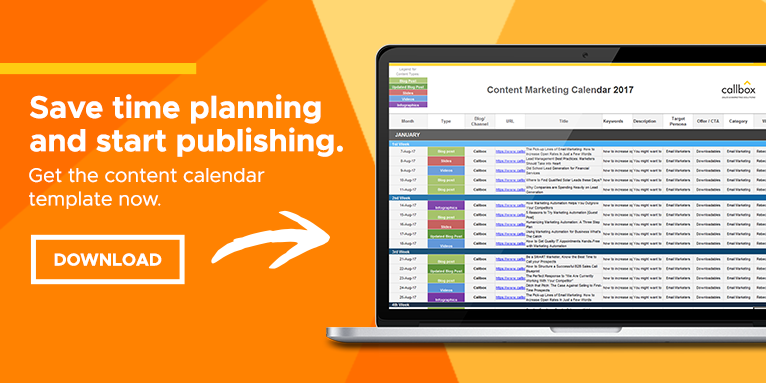 https://www.callboxinc.com.au/wp-content/uploads/2016/09/BLOG-800x352.jpg 352 800 Maegan https://www.callboxinc.com.au/wp-content/uploads/2019/01/callbox-logo.png Maegan2016-09-12 07:21:262018-05-08 10:48:56Meet the Callbox Team at Dreamforce 2016! If SEO Is Dead In Australia, Can You Still Get Leads? Seminars and trade fairs – these occasions in Australia are good places to start, especially if you want to build a network of prospects that you can give a call later on during your appointment setting work. Telesales – while it may be true that some businesses shrink away from using this marketing medium, there is no denying that this is ideal in talking to business prospects (most of them prefer speaking with other people on the phone). It can be very useful in your negotiations. E-mail – If the information you wish to provide is too detailed or confusing on the phone, it is better to send these items through the mail. This is also a very affordable medium if you want to send a sales pitch to those who read it. There are other marketing mediums that you can use, but the three mentioned above are your ideal options. https://www.callboxinc.com.au/wp-content/uploads/2019/01/callbox-logo.png 0 0 admin https://www.callboxinc.com.au/wp-content/uploads/2019/01/callbox-logo.png admin2012-11-14 01:01:162018-05-08 11:09:50If SEO Is Dead In Australia, Can You Still Get Leads? Patience is important in B2B telemarketing since results won’t just happen as soon as we would like them to. Imagine you are a professional telemarketer very eager to make a sale yet your prospect says “NO” or “NOT NOW.” You become disappointed. What you must realize is that your success or failure is a choice. There is nothing you can do to push these people to buy from you at that very moment. Sit back and wait it out. Give your prospects a week or two to decide. You can make a follow up call or send them an email. The point here is, you can learn the art of patience and you can be successful if you choose to. One of the most admirable characteristics of the most successful telemarketers today is patience. This simply means, these marketers learn to work hard and do things over and over again until they get the results they want. In this blog, I will share just a few ways to help you be like them. Understand them and see if you qualify. Patient telemarketers stick with all their goals yet they don’t expect them to happen overnight. They know that time is their best asset and that all their goals can be achieved as long as they give themselves a realistic time frame. Patient telemarketers are not easily discouraged by momentary delays. They make use of this idle time to reevaluate themselves and to work on other important tasks. For example, they try to nurture the relationships they have with their prospects through social media or email. They do more in research and improve their calling scripts to be more effective. Patient telemarketers are not “pushy”. They don’t urge prospects to decide right away. Patient telemarketers plan their calls. They think well before they act, listen well before they speak and research well before they cold call. Consequently, they make wise and sound decisions. Practicing patience is important not only in telemarketing, but also in B2B lead generation and B2B appointment setting. Remember business is a process and it takes time (sometimes longer time). Hang back and wait patiently. And when the perfect day comes your way, just grab it. To have the best telemarketing campaigns that will yield high quality b2b sales leads for your business, you have to make sure that you’ve secured the important factors that make up a good telemarketing campaign. Aside from having a compelling, well-written telemarketing script, you need to have experienced professionals to do your cold calling for you. When choosing your telemarketers, you have the option of hiring a freelance telemarketer, or hiring one from a professional b2b telemarketing company. Whatever you choose and before you sign that contract, think about these two simple reminders to make sure you’re making the right choice for your company. 1. Never go for the cheapest option. Cheap is as cheap gets. If you base your decisions simply on how much you will be able to save upfront, then you’re making your decisions all wrong. That “bargain” you thought you were privileged to get would sooner than later turn into a nightmare as you start dealing with incompetent telemarketers who cold call at their leisure, play games on your business prospects, and generally cause a failure of a telemarketing campaign. Yes, it was very much a “steal”. Those untrained freelancing telemarketers just took your money after you sealed the deal by paying half of the agreed sum; and you’ll probably never hear of them again. If you really want quality telemarketing services, remember that nothing comes for free. Though you may need to pay a considerable amount for the best service, you can rest assured that you will get the equal value of your payment through professionally trained b2b telemarketers, a responsible and capable team leader, strict quality analysts, a binding contract, and years of authentic industry experience. 2. Never hire when you’re in a rush. Doing anything when pressed for time never results to anything more than satisfactory. As a business owner, you need to do proper research on anything before you finalize a deal. When looking to hire a business to business telemarketer for your campaigns, researching the experience of your applicants is really important to ensure the success of your telemarketing lead generation campaign. Even a reliable b2b telemarketing services provider needs to be questioned about their experience. You’ll know you’ve found a good one if the company is not shy to share their portfolio with you, or maybe give you a list of clients you can call. If you hire in a rush (which is never a good idea), there is a large chance that you will end up with a business scam, a freelancer who will disappear halfway through your campaign, or an amateur company whose telemarketers are still trying to figure out what VoIP actually means. SEO is an important prerequisite process for search engines to work efficiently. If not for SEO, search engine crawlers will have a hard time indexing web pages, especially Google, who boast of delivering the best quality content on their initial SERPs. As advanced as the algorithm seems to be, it would still not be able to fully comprehend a web page’s content if there is not any effort to do SEO. Surely, the site would be indexed by search engine crawlers, but the really quality sites will have a minimum chance of showing up at the top of search results. The only chance that your sales leads will find your site is for them to type the exact URL of your lead generation website, and that is nearly impossible, unless these leads have already been contacted through email marketing or by professional b2b telemarketers. Research your target keywords thoroughly. 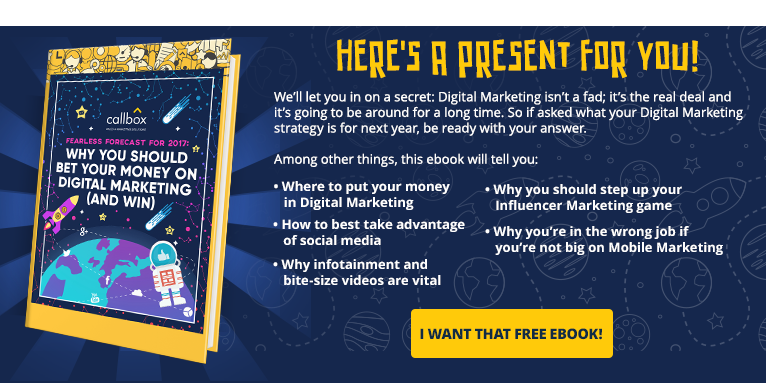 There is little point in entering a highly saturated and competitive niche, especially if you have no prior experience in online marketing or your product is not a proven disruptive innovation that could give you any significant advantage. Use appropriate meta tags, meta descriptions and meta titles on all your content. Provide a sitemap on your website. This helps search engine crawlers index your website and every page in it faster. Use your target keywords on your titles, headlines, and adequately in the body of your content. Be careful not to overuse your keywords. Add descriptions and titles on any images, videos or any other media used in your website. Anything without a text description will likely be unindexed by crawlers. Make sure that links pointing to your website are reliable and reputable so that your website won’t be penalized. Converting the sales leads who visit your site but don’t make an immediate purchase requires patience and consistency. Once you get their contact information, add them to your emailing list, or your telemarketing list—if you want a more direct approach—and send them to a reliable call center to be contacted for any updates.